It’s not easy helping kids with obesity lose weight: U of A experts provide advice on some of the challenges parents are up against. “The best outcomes at our weight management clinic occur in families where both the parents and the children are on the same page and equally motivated,” said Geoff Ball, a U of A professor of pediatrics and director of the Pediatric Centre for Weight and Health at the Stollery Children’s Hospital. “It’s also about timing,” added Ball, noting that their research shows that while many families don’t act on the first referral to a weight management clinic, many do on the second or third referral. “That suggests there isn’t necessarily a lack of motivation at play, but rather that life and all its challenges may simply get in the way. Some parents don’t seek treatment for children with obesity because they believe either their child will “grow out of the fat” or that there is nothing unhealthy about their size. “The reality is that most kids who are tracking along the growth curve and who are bigger are more likely to remain bigger or stay in that curve,” said Ball. On the other hand, some families don’t think about their children’s size in terms of BMI or health risks, but rather view it as normal because the rest of the family or friends may be bigger as well, explained Ball. “Sometimes the expectations come from the media; other times family physicians who refer families may give them false hope around a weight-loss goal. Either way, it does contribute to clinic dropout rates when children don’t lose the amount of weight they expect,” said Browne, who conducts research on families’ motivation at the Stollery pediatric weight management clinic under Ball’s supervision. That’s why the mental well-being of families is addressed at the clinic, often before any other weight management initiatives are undertaken, he added. “The key is to help all health professionals become aware of the language they use in conversations about weight and health to keep their value judgments in check,” he said. 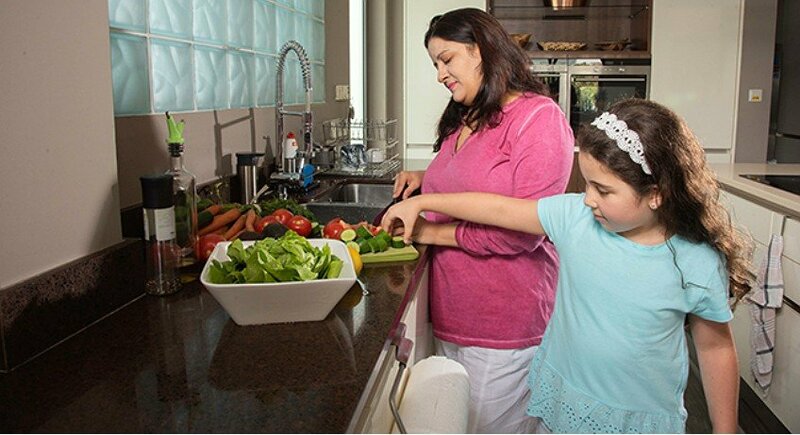 To help some families make adjustments, the Stollery pediatric weight management clinic will have a registered dietitian visit the family’s home or go grocery shopping with them to raise awareness about healthy foods that might otherwise be unfamiliar to them, noted Ball. “I encourage parents to keep up the good work, to acknowledge that what they are doing is not necessarily an easy thing to do. And to remind them that they have support in our clinic,” she said.